A stunning Joe Canning sideline in the third minute of added time secured victory for Galway in Sunday's Walsh Cup semi-final at Parnell Park. 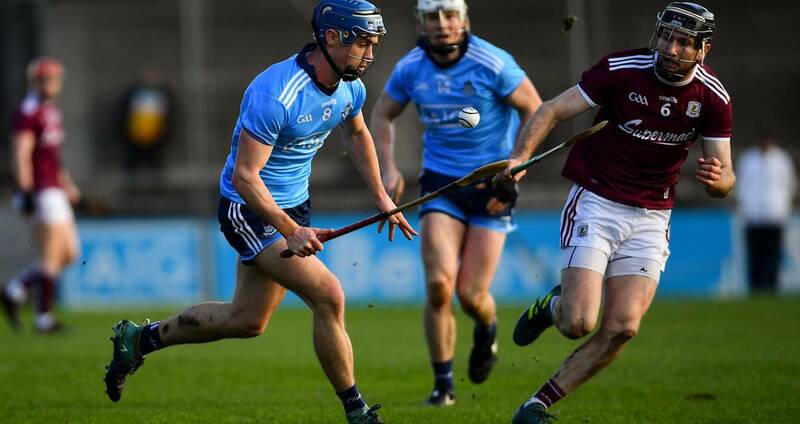 The Tribemen looked to be cruising to victory when lead 0-20 to 0-13 with ten minutes remaining but the Dubs put in a stirring finish to draw level as the game moved into injury-time. However, it was Galway, through Canning's brilliance, who had the final word as they progress to the decider. Dublin finished with 14 men after John Hetherton was red-carded in the 62nd minute as the game finished in great excitement. A Hetherton free, after a foul on Eamonn Dillon, was followed by a fine Chris Crummey point to see Dublin close the gap to 0-20 to 0-15 before Sean Moran converted a penalty after Donal Burke was fouled. Mattie Kenny's men kept pressing on and were rewarded with two frees from sub Oisin O'Rorke to bring the sides level, 1-17 to 0-20 as the game moved into added time. But on a weekend of dramatic conclusions to games in Parnell Park it wasn't to be for the Dubs with Canning cutting over the winner in the 73rd minute. Galway were the stronger side in the opening half and held a deserved 0-15 to 0-8 advantage at the break thanks to the all-round play and freetaking of Cathal Mannion while Brian Concannon did well at full-forward, he had a goal effort diverted over for a point in the 31st minute by Alan Nolan. Dublin's next game is against Carlow in Parnell Park on Saturday, January 26 as they commence their NHL campaign. SCORERS – Galway: C Mannion 0-10 (0-5f), B Concannon 0-3 (0-1f), S Blehane, D Glennon (0-1f) 0-2, P Mannion, A Harte, C Whelan, J Canning (sideline) 0-1 each. Dublin: J Hetherton 0-8 (0-8f), D Moran 1-0 (1-0 pen), C Crummey, D Burke, E Dillon, O O’Rorke (0-2f) 0-2 each, F Whitely 0-1. GALWAY: J Skehill; J Grealish, J Fitzpatrick, S Linnane; K Hussey, P Mannion, A Harte; S Kilduff, C Mannion; P Brehony, C Whelan, S Blehane; T Monaghan, B Concannon, D Glennon. Subs: S Loftus for Brehony (55), S Maloney for Kilduff (55), R Ó Meara for Glennon (62), J Canning for Blehane (67). 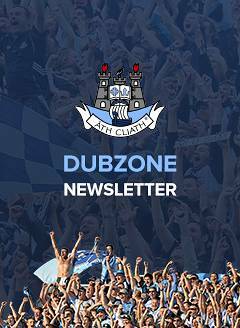 DUBLIN: A Nolan; P Smyth, E O’Donnell, L Gannon; C Crummey, S Moran, S Barrett; T Connolly, R McBride; J Hetherton, F Whitely, F McGibb; E Dillon, L Rushe, D Burke. Subs: S Treacy for Smyth (ht), D Gray for O’Donnell (47), C Conway for McBride (47), O O’Rorke for McGibb (51), D Keogh for Barrett (62), D O’Connell for Whitely (64), C Burke for D Burke (68).